Winners to Compete for $10,000 Grand Prize at World Food Championships in Las Vegas. People are passionate about potato salad. We received 5,472 votes on Facebook. Today, Reser’s Fine Foods® announces the top five recipe winners in its “America’s Best Potato Salad Challenge.” In May, Reser’s invited potato salad lovers to submit their favorite and unique potato salad recipe for the chance to win $10,000 and compete at the World Food Championships in Las Vegas. Home cooks answered the call and submitted more than 600 entries. Reser’s selected the top 10 recipes and then asked America to help choose the top five winners. Do you pledge allegiance to great taste? This salad features red, white and blue potatoes, juicy tomatoes and fresh mozzarella cheese. Bring Italy home with this salad featuring feta, eggplant, oregano and Under the Tuscan Sun-dried tomatoes. Italian chicken sausage and creamy brie elevate this salad into something truly extraordinary. Sweet and spicy. Roasted sweet potatoes are paired with fresh mangoes and Serrano peppers in this creative take on a picnic classic. Can’t make it to the Greek Islands? Then whip up this Mediterranean-inspired dish packed with Kalamata olives, feta and marinated artichoke hearts. The top five recipe winners will be featured in a digital cookbook, receive a $1,000 cash prize, plus a $1,000 travel stipend to compete at the World Food Championships in Vegas where they will compete for the $10,000 grand prize. Contest updates will be posted by Reser’s on Facebook and Twitter. The top five winners will be invited to compete at the World Food Championships in Las Vegas (November 2-4, 2012) for a chance to win the $10,000 grand prize. 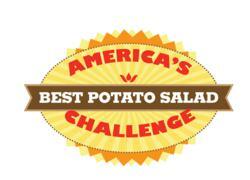 Among the judges panel for the Reser's America's Best Potato Salad Challenge will be celebrity chefs Marc Murphy and Antonia Lofaso. Marc Murphy is the star of The Food Network’s “Chopped” and is the head chef and owner of Landmarc and Ditch Plains, both located in New York City. Antonia is known as a widely popular chef with featured appearances on Bravo’s “Top Chef: Chicago” and “Top Chef All-Stars.” Antonia is author of the Busy Mom’s Cookbook, star of “Beat the Chefs” on GSN and chef at Black Market Liquor Bar in Los Angeles, Calif.
Oregon-based Reser’s is the leading North American provider of deli salads, fresh salads, side dishes and prepared foods. Founded in 1950 by Earl and Mildred Reser, the company remains privately owned and operated and committed to providing delicious foods for the supermarket and food service industries. For more information, visit http://www.resers.com.